The Acura TL has been on of America’s best sport sedan values since it was released in 1996. But with ever increasing power, Acura had maintained a front-wheel drive platform, even as competitors opted for rear- or all-wheel drive. For 2009, Acura is still offering front-wheel drive, but is finally adding an all-wheel drive model in the form of the most powerful Acura ever. The company invited journalists to New York City to test its newest sport sedan, and I went to see if the TL could maintain its value promise. The 2009 Acura TL is based on the Honda Accord platform but is actually larger. It’s also larger than the outgoing model, yet it handles better and gets similar fuel mileage. The base TL has a 280-hp V6 and the TL SH-AWD model has a 305-hp 3.7-liter V6 as well as Acura’s Super-Handling All Wheel Drive. Acura made both models available for testing. All TLs are well equipped. Even the base model has leather upholstery with heated front seats, eight-speaker 276-watt AM/FM stereo with six-disc CD changer, Bluetooth cell phone link, sunroof, high-intensity discharge headlights, and 17-inch alloy wheels. 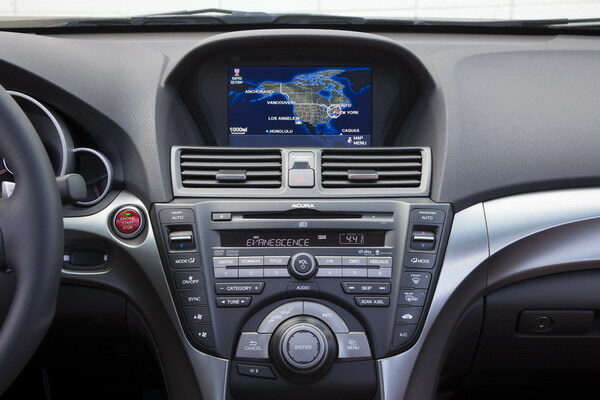 An available Technology Package includes premium Milano leather upholstery, keyless access and starting, a navigation system with real-time traffic and traffic rerouting, real-time weather, and a 440-watt Acura/ELS 10-speaker premium audio system with DVD Audio and a 12.7-gigabyte hard drive. Standard on the SH-AWD are a sport steering wheel, sport front bucket seats, and 18-inch wheels. The Tech Package is also available, as are 19-inch wheels and summer tires. Safety features on both models include six airbags (front, front side, and curtains), active front head restraints, tire-pressure monitor, antilock brakes with electronic brake-force distribution and brake assist, traction control, and electronic stability control. 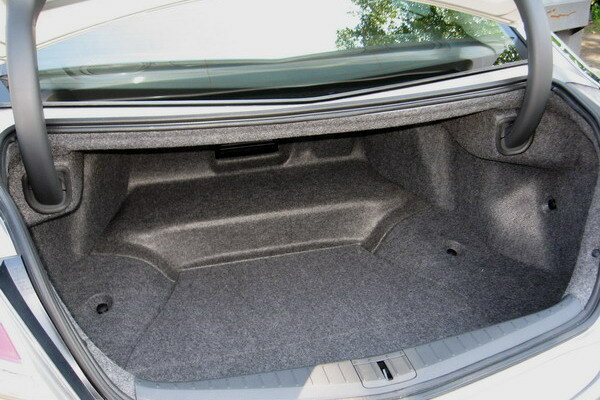 The TL’s size and features make the interior a pleasant place to be. There’s enough room for four to fit comfortably and five in a pinch. 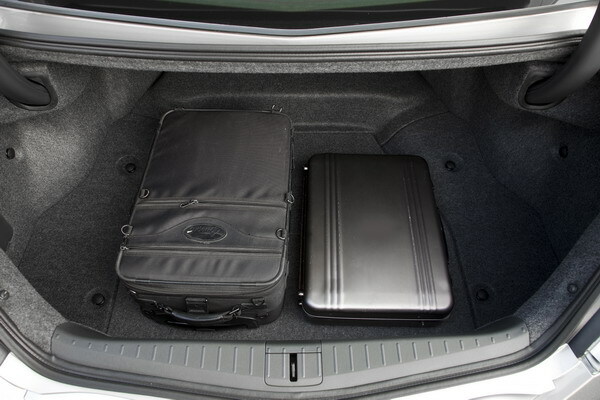 The trunk offers has a decent amount of space, but it’s small for the class and the lack of split folding rear seats limits the utility. The new body structure and suspension settings make even the base model ride and handle quite well. The SH-AWD model’s Super-Handling All Wheel Drive system helps both on dry and slippery pavement, and is a great option for buyers in the Rust Belt. Both engines offer plenty of power, too. It’s too early to tell if the TL will hold up when it comes to build quality. I’m aware that the last model had some issues with the headliner when it was released. But that’s a minor problem that’s not typical for a quality manufacturer like Acura. So, I can only go on what I see. Get in the TL and you notice that it feels substantial. The doors close with a solid thud. The dash and interior panels fit together nicely. The instruments and materials have a quality look and feel. And the controls turn with weight and precision. On the road, the TL feels sturdy and well built. I experienced no squeaks or rattles. Outside, the body panels fit together nicely, with even panel gaps and no glaring imperfections. I think it’s safe to say that the TL is a well-crafted, quality automobile. The base model of this 2009 Acura TL is front-wheel drive and is powered by a 3.5-liter V6 that produces 280 hp and 254 pound-feet of torque. The all-wheel-drive 2009 TL SH-AWD gets a 3.7-liter V6 that makes 306 hp and 275 lb-ft of torque. The all-wheel-drive system is capable of transferring different levels of power to individual wheels to maximize traction and grip through turns and in inclement weather. Both TL models come standard with a five-speed automatic that includes automanual steering-wheel-mounted paddle shifters. Fuel economy for the 3.5-liter TL is 18 mpg city and 26 mpg highway, while the SH-AWD returns 17 city and 24 highway. Full of great Acura OEM parts. 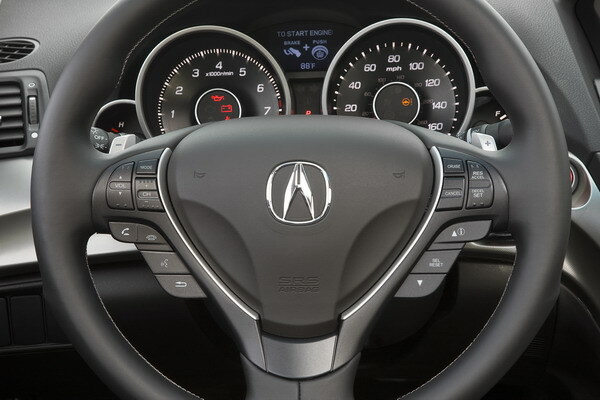 Acura TL is most likely car in US Market, looks similar to Honda Accord, nice dicky space & nice looking Dashboard, with in GPS displayed center. also loaded with all the new features. I think fried chicken is the best! I currently have a TL. I am waiting for them to change the proboscus before I but a new one. Acura has done much tinkering under the skin, too. TL buyers, a loyal lot, expressed two primary wants for the new model: more rear-seat room and more performance. Though those objectives are seemingly at odds, Acura has delivered on both fronts-and more. I bought my TL with the Tech package about 2 months ago and enjoy it more every day I get into the car. The handling, performance, nav, audio and controls surpass my expectations. I have not had one complaint since I pulled the car out of the dealers showroom. No rattles, squeaks or problems. This car won out over the Lexus IS 250 and I was a 2 time buyer of Lexus cars since 1996. I wasn’t sure about the styling of the front end, but ever day it grows on me and I’m really happy I chose the Acura over the Lexus. Both are quality cars but the Acura has the performance and handling I want. You can’t go wrong with this car.